November 5, 2018 - In a month that’s notorious for having several no-school days, it’s important to remember that every day of a student’s education matters! Teachers work hard to ensure time is well-spent and meaningful when school is in session. Also remember that there is a strong correlation between regular attendance and higher academic achievement. 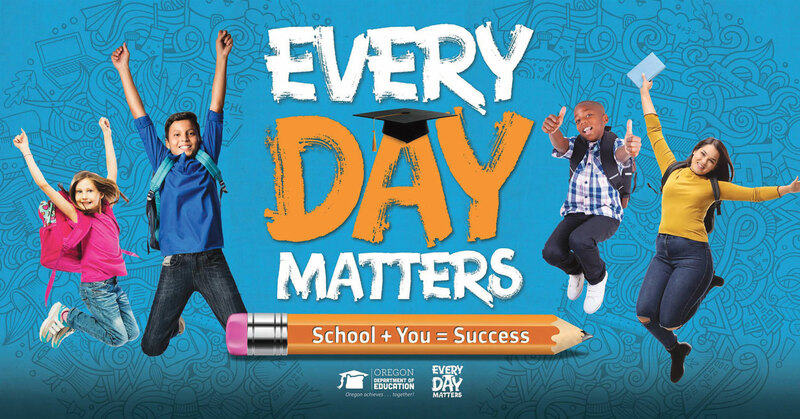 The Oregon Department of Education recently launched its Every Day Matters campaign; check it out to learn more about the importance of attendance!